And it came to pass that there was one carrier of the flames that came to mean something that represented his own interpretation. And it was good; and it was of itself a message carrier to those who sought the message that it represented. And it was gold and it was unblemished and its life was designed for a purpose born in antiquity and destined for its inevitable passing into history. And it bore a message to those who came in search of the truth. And it was good; and it was called The Menorah. Follow this story of Ellen, Mike, and Tony who in modern day set out from the deserts of New Mexico in search of this Menorah decorated with Mayan carvings. Will they find it before the others who search for the Menorah, for their own questionable reasons? Join with Ellen, Mike and Tony as they experience adventures, new growth in Spirit, and a deeper understanding of the real history of earth. Experience the depths to which some of the characters find themselves falling. Grow with them as they find answers to questions they didn’t know they had. 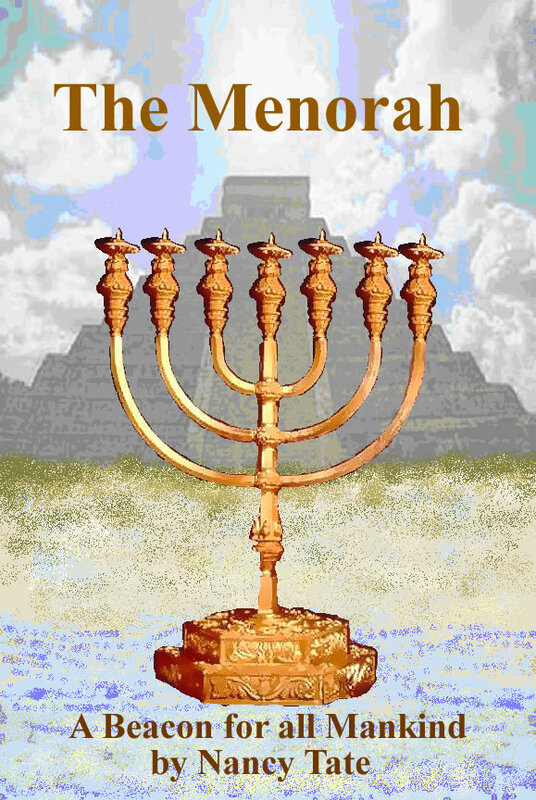 Share in the knowledge of the larger purpose of the Menorah than is commonly known. The journey changed their lives; it can change your life as well. I began writing this novel, The Menorah, in 1996, and as it grew, so too did I. It was a journey of recognition, and of awakening. I submitted the book a few times for publication, and got turned down, which I knew was part of the process. In the meantime, other projects took precedence; I had a website to create, channeling to share with the world, and more healing and growing to accomplish. During all this time I always knew that the day to pursue this book successfully would come. In December, 2005 I began to once again feel urged to work on getting The Menorah published. I’d been thinking of self-publishing, so I went to the Internet and found a wonderful publishing house a cut above the usual self-publisher, that offers the ideal plan by which I will be getting the book ‘out there’. I felt that this was it; I could do this, for the timing is right. Everything I called for came to me. A dear friend with experience in the publishing industry gave me pointers on a few aspects of the book. Gifts to finance the fee came in from several generous friends. I was advised by my guides, including Hatonn, that it was time. From that day of finding Trafford Publishers, all of my steps brought me to the point of announcement.